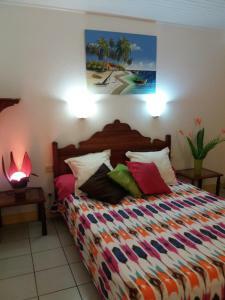 ﻿ Best Price on Habitation Bellevue in Sainte-Anne + Reviews! 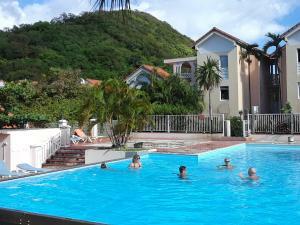 Habitation Bellevue has a garden, as well as accommodationss with free WiFi and a kitchen in Sainte-Anne. Each unit has an oven, microwave, a coffee machine, as well as a toaster and electric tea pot. A flat-screen TV and DVD player are available in some units. The apartment has a terrace. If you would like to discover the area, snorkeling is possible nearby. Les Trois-Îlets is 22 miles from Habitation Bellevue.